Popular in Europe, this compact cabin boat offers weather protection and secure stowage in a package that is easy to handle and tow. 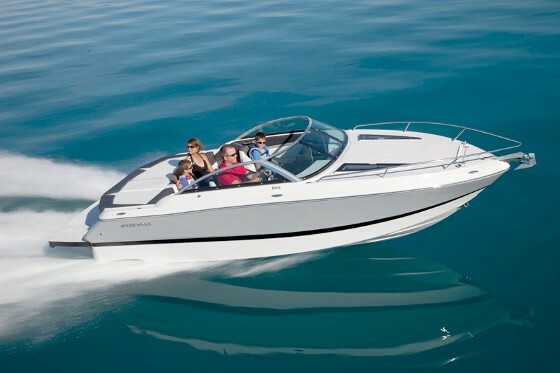 Compact cuddy-cabin boats like the new Four Winns S215 fell out of favor with the public during our previous Era of Home Equity Prosperity, their popularity replaced by pocket-cruisers and big bowriders. 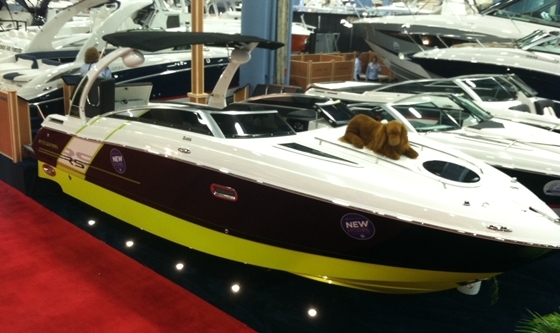 A closed-bow model like this has always been popular in Europe, however, where a little snowstorm is not enough to keep the most hard-core off the water, and where every expense from fuel to slip space seems outrageous to Americans. 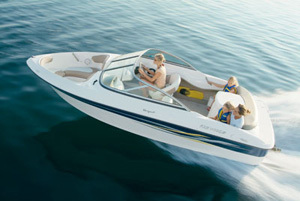 So Four Winns first offered this model for sale in Europe—and in January it won a 2012 European Boat of the Year award. The Four Winns S215 shares its Stable-Vee hull with the H210 bowrider model, and should be as agile as that runabout. I wanted to see what the Euros were so excited about, so I made a point to check out the S215 when it made its debut in this country, in the convention center at the Miami Boat Show. 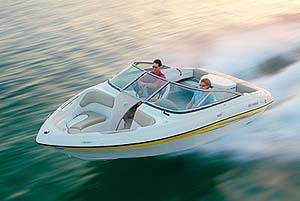 The S215 shares its 21 foot, four inch hull and its cockpit with the Four Winns H210 bowrider, and at 3,440 pounds, weighs about 100 pounds more than the runabout. 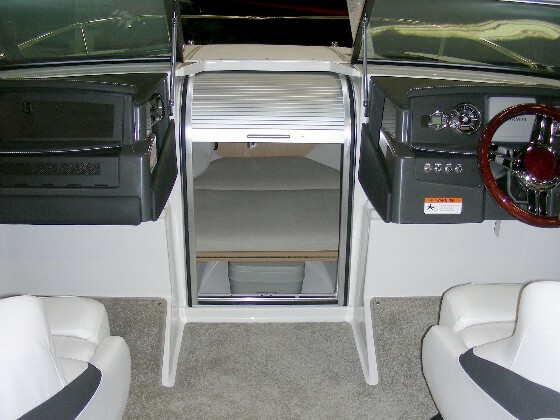 There’s a bench seat aft, a pair of bucket seats at the console, and a sunpad over the engine. Pretty typical, but well-executed. One side of the sundeck pad can be propped up to create a chaise lounge effect, and the stowage compartments under the sundeck are lined with breathable mesh bags that allow wet gear to drain to the bilge. Upholstery vinyl has a classy matte finish and some top-stitch details, and the fit-and-finish looks worthy of a boat with a base price of $55,000. A space-saving aluminum tambour door slides into the cabin overhead, and can be locked to secure gear. On to the cuddy, which has a clever entry covered with an aluminum tambour door (think: roll-top desk) that slides into the cabin overhead when opened. Four Winns points out that it won’t rattle, and takes up less space than a sliding fiberglass door. It’s also a lot lighter. Its opening is cut out to the windshield base for added headroom. 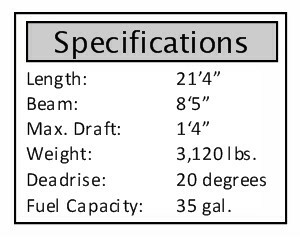 Below is a berth that’s six feet, one inch long at its maximum length, which is from the bow peak to one aft corner. A pair of overhead hatches let in some light, and open for ventilation. The berth cushion folds back to reveal a pair of facing jump seats at the bulkhead, and a portable head stowed on center. On most boats of this ilk, unpacking the berth requires lifting out sections of cushion and separate base pieces, which can be heavy. This leaves extra parts to clutter the cabin or leave on the dock. Four Winns solved this issue with a clever bi-fold berth arrangement that simply folds back out of the way to uncover the portable head. Flip it again and there’s a small stowage compartment below the berth’s center section. Berth base boards and cushion are hinged so they can be flipped up and over to reveal stowage and the optional portable head. 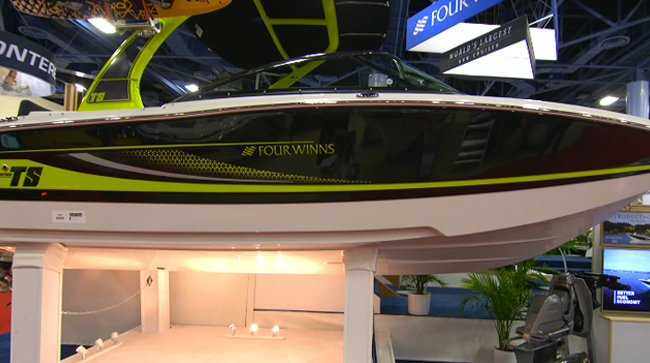 Four Winns says a closed-bow boat like the S215 has always had fans in the Pacific Northwest, where the water and weather can be chilly and the added weather protection is appreciated. 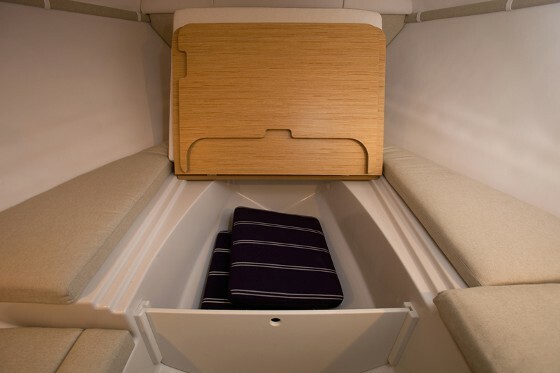 You may never want to sleep aboard, but the cuddy is perfect for kids who need a nap or as a spot for securing gear behind that locking tambour door. And with the dollar still tight, more people will be looking at a compact model like this. 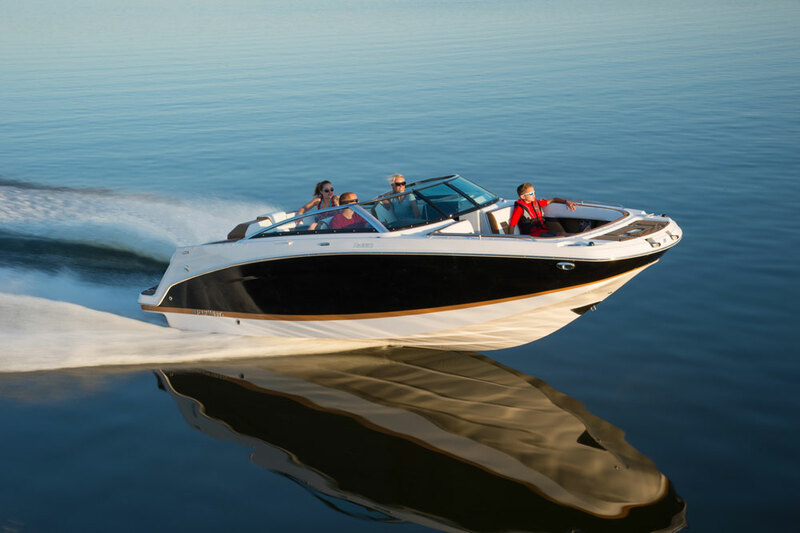 The base price includes a 270-hp Volvo Penta GXi/SX single-prop sterndrive and a Sure-Load tandem-axle trailer with disc brakes and a swing-away tongue. Snap-in carpet over a fiberglass deck, the extended swim platform with soft mat, a carry-on cooler, blue LED courtesy lights, and a Sony stereo with CD and MP3 input are also standard. Four Winns offers the up-graded S215 SS ($60,000 base), a sportier package that adds a low-profile windshield with dark frame, pull-up cleats, carbon-texture vinyl, black-and-red hull graphics, and aluminum trailer wheels.